Flathead Lake, Montana is the largest fresh water lake west of the Mississippi river. At 50 miles long and up to 10 miles wide, you can make a day or more of driving around the lake and visit the lovely places to stop along the way. Enjoy Montana fare and Made in Montana beverages along the way at breweries and road houses, and shop the fresh fruit stands along the east shore. Nothing beats the views across the lake, except the view through crystal clear water to long ago sunken logs laying on the lake’s bottom hundreds of feet below. 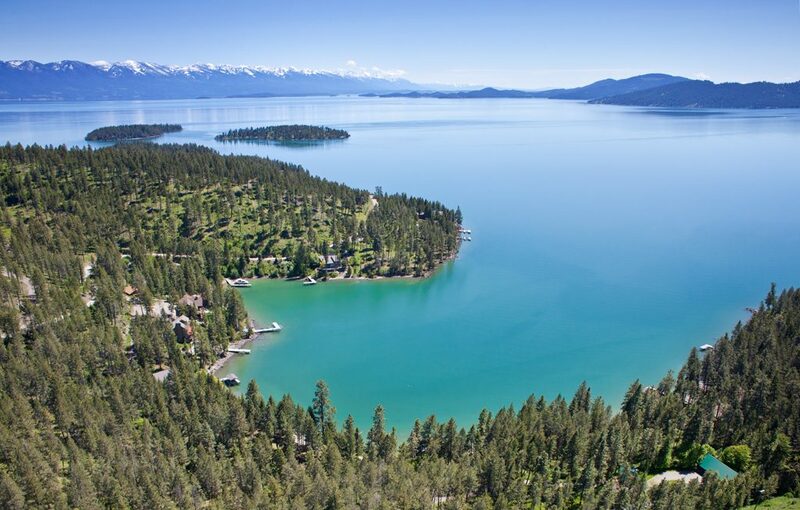 Flathead Lake is wild and scenic yet accessible in the many communities that surround the lake. Chartered boat rides depart from Bigfork, where the Swan River flows into the lake. Sailing communities are common on the west shore of the lake in Somers and Lakeside, and weekly regatas are common. Each September an incredible sport, the Dragon Boat Races, fills a state park near Lakeside with spectators and competitors.